Calli Thacker recently joined the HomeTowne Auto Repair & Tire family. 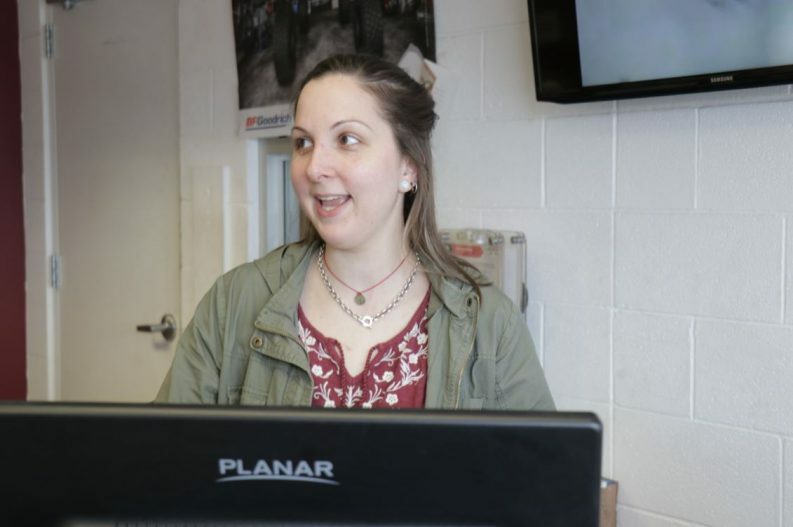 The auto repair shop’s newest Service Writer has been working in the automotive industry for 10 years. I started the year after I graduated high school. It was, actually, just a job after high school that I thought was just going to be a temporary thing, and here I am 10 years later. What do you like about being a Service Writer? I enjoy the fact that you never stop learning … You’re never going to be at a standstill, you’re always going to be able to learn more … I like that you get to work with people, and meet all different types of people, and help people. For me, personally, I like being able to interact with people all day compared to being stuck in an office by myself. 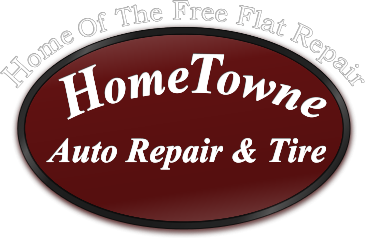 How is HomeTowne Auto Repair & Tire different from other businesses you’ve worked for? I’ve worked at car dealerships and independent shops, but this independent shop in particular does things their own way, for sure. They have a unique way of doing things, which works out for them and for their clientele base … Their customers seem to feel taken care of and safe, and they’re trusting of us. What challenges have you faced as a woman in the automotive industry? What do you recommend to women who are considering a career in the automotive industry? I recommend if it’s something that you truly want to do and you are ready to learn — because there’s so much to learn and you never stop learning — you have to be open minded, you have to be willing to learn new things and take advice, and have people explain things to you and show you things. If you’re willing and wanting to do all those things, then definitely go for it, definitely try it out. You have to have thick skin and you have to be accepting to all different types of people, but if you have patience and you can handle stressful situations well, then definitely go for it. But you’ve got to keep in mind that it’s not easy, and it takes a lot of time and patience and learning.